During a buyer’s market or what is often referred to as the “cold market”, selling your house may not be as pleasant and may not yield as much as you’d expected from your investment. If you can’t avoid selling your house in a cold market, timing shouldn’t be much of an issue as long as you’re resilient, aware, and understanding of what you’d expect. There would also be time when the state of the cold market benefits you as you buy your next property. This is the first step to identifying your issues and how you can perform better. Do you hire an agent? If yes, then make sure to ask the nitty gritty details on how they are marketing your house, how an agent negotiate is also key. 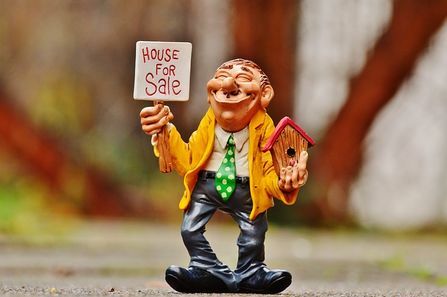 Often, what an agent does is nothing more than putting up your homes in the MLS (Multiple Listing Services) and in a hot market or neutral, that is often enough. But selling your house in a cold market require extra effort. What a good agent will do is help you set a good price, according to the state of the market. Professionals are able to offer insights on the state of the market, what may cause it, and how houses can do well in the current state of the market. They may also be able to provide you with history to provide you further insights of home selling during similar market state. You need to listen to your agent; don’t hesitate to ask whenever there is something that you don’t understand. Your agent will gladly explain it to you. Once you’ve reached an understanding, make sure to heed what your agent had suggested. Remember that if you don’t get along or if you doubt your agent, it could prove to be disastrous with the sales of your house. Consider hiring a different agent if you don’t think you can work it out with your current one. But if you can, just proceed, as you don’t need to start all over again if you can work it out with your current agent. Your very own independent research may prove to be insightful and provide you with the current state. Scour houses in our area as well as houses similar to yours and compare how they fare in the period of 3-6 months to a few years back. Being able to extract this information can be a fulfilling endeavor and it would give you more heads-up, especially if you don’t hire an agent. Often times, homes simply do not sell because they lack aesthetic quality, or that you fail to show their aesthetic qualities. Often times, pictures at the MLS of your house simply does not show your house in a good light. Make sure to take photos of your house properly in order to show it in its best light. Take a good look at your curb appeal; often times, you need to spruce up your home a bit to make it look presentable. Take a close look at your indoor appeal as well. If needed, you may even try “staging” your homes. The extra effort during the cold market would usually pay off, even at your asking price. A lot of people are simply drawn to houses that just appear beautiful and move-in ready.